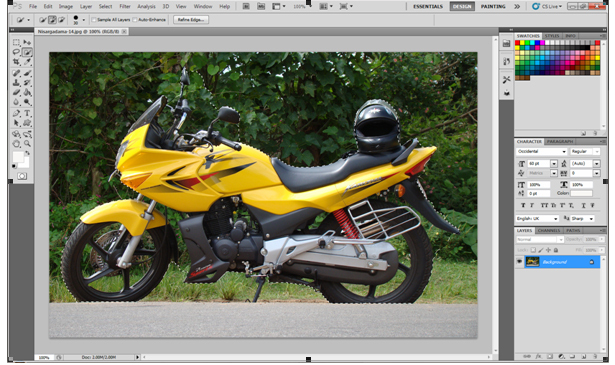 Adobe Photoshop CS5 is released with lot of promises and expectations . Even before we open the software, we will be able to see the difference.Yeah, I am saying about the change in shape of the splash screen. 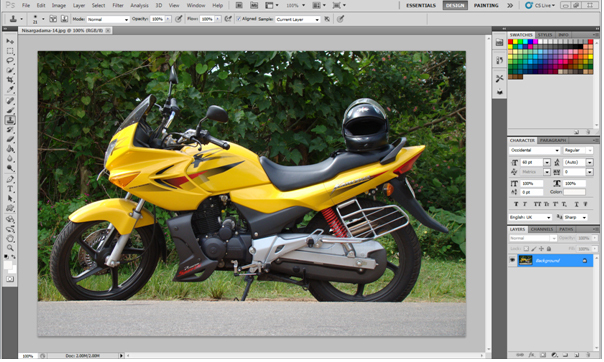 Content aware filling is a new feature introduced in Adobe Photoshop CS5.Adobe claims it as a magical feature and I too feel the same!! What’s so magical about it?? I know this question might have raised in your mind. Let me show you a couple of images before you start guessing about this magical feature. I guess most of you might have got it right.These images are not two different images. 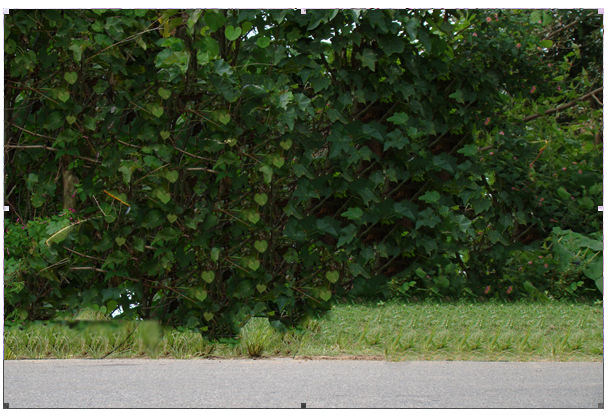 The second image is digitally re-created in Photoshop using the first one. This is definitely an amazing feature, which will make designers all over the world remember the 'white rabbit' for the several more years. I am sure you might have a question in mind, why can’t this same effect be created with a magic wand + Clone Stamp. Yeah you are absolutely right, even I had the same question in mind, but only before trying out this new feature. I created the sample which I have mentioned above in less than 2 minutes !! unbelievable isn't it ? I am pretty sure you might have got some extra portion from the background while selecting, as the quick selection tool is not always 100% intelligent. 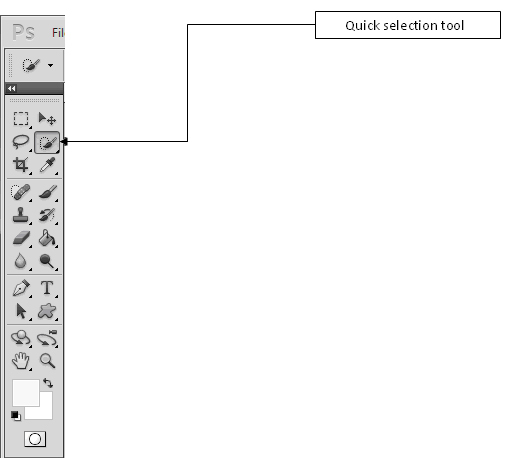 Select the ‘Fill’ from the ‘Edit’ menu. 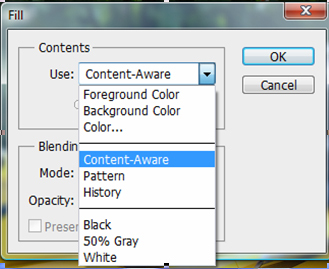 Select the 'Content – Aware' from the ‘Use’ drop down. Be ready to witness the magic.Wow the object disappeared !!! You can also watch an interesting video about the same feature in the official website of Photoshop.